Precision Air specializes in radon testing for apartment buildings, condos, townhouses and other multi-family properties in Tennessee. Multifamily residences often have large foundations and extensive HVAC and ventilation systems. 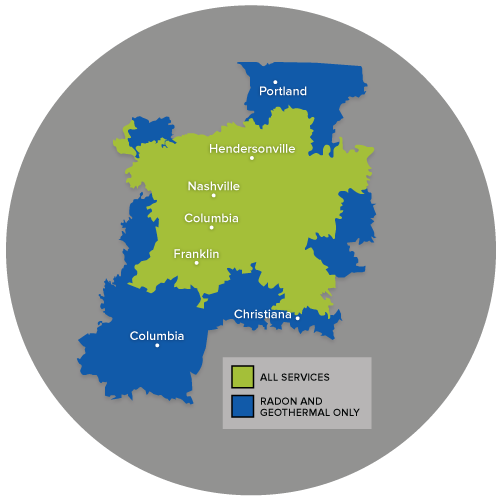 As an experienced, certified contractor for radon testing and mitigation services in Tennessee, we can ensure the most accurate, up-to-date work to detect and correct radon problems. Take action today! Contact Precision Air to make sure your apartment or multifamily unit is not contaminated with cancer-causing radon. We provide free estimates for radon mitigation system installation with radon testing in Brentwood, Hendersonville, Antioch, Lascassas, Madison, Hermitage, Smyrna and nearby.